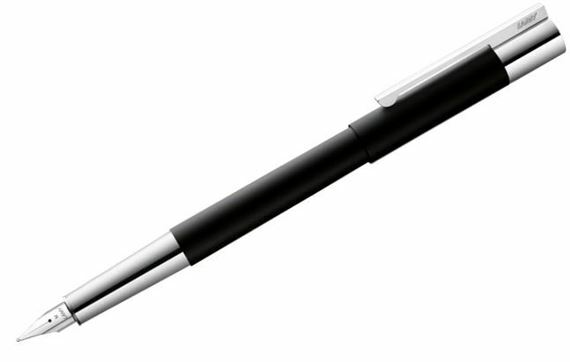 Order your Lamy Scala Black Fountain Pen today from FahrneysPens.com. Fine Pens, Refills & Luxurious Gifts – great prices & fast shipping. 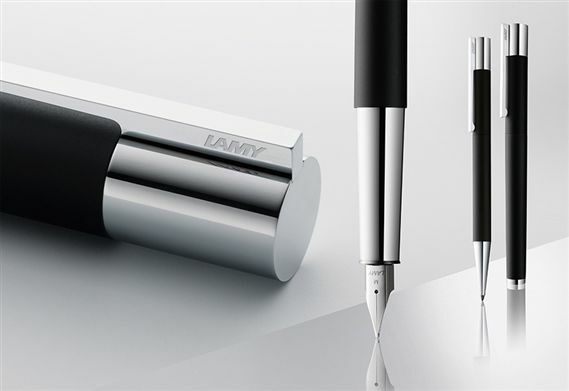 The Lamy Scala family of writing instruments radiates emotional details through formal simplicity. Behind the sophisticated and reserved presentation, which deliberately refrains from material excess, lie perfectly executed technical details - an absolute necessity in making a writing instrument like this possible. Made of stainless steel, the Lamy Scala fountain pen has just the perfect weight and delivers a satisfying writing experience. 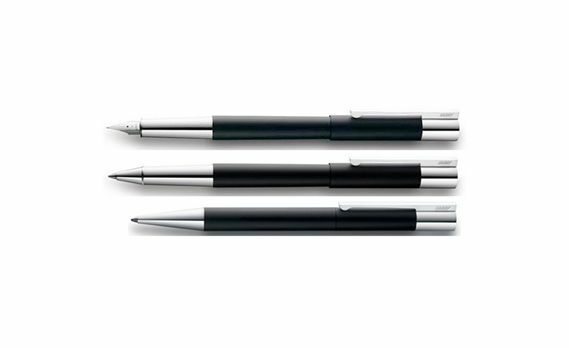 Fitted with a steel nib, the capped fountain pen is matte black with high-gloss chrome-plated grip and clip.